What do presidential campaigns and the Christmas shopping season have in common? They both keep starting earlier and earlier. Like it or not, the 2020 presidential campaign is underway. Political marketing types are busy devising slogans for their candidates. Which makes this a good time to look back at how slogans have evolved over the years. 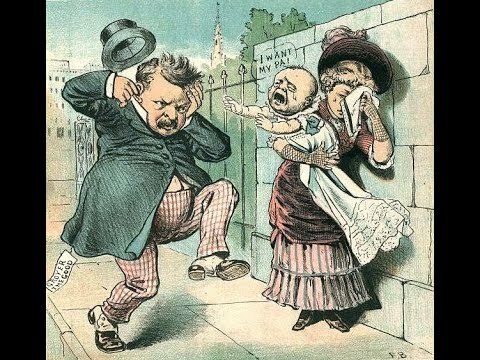 Long before there were car bumpers to attach stickers to, politicians were coming up with phrases designed to win votes. Some worked, some didn’t. 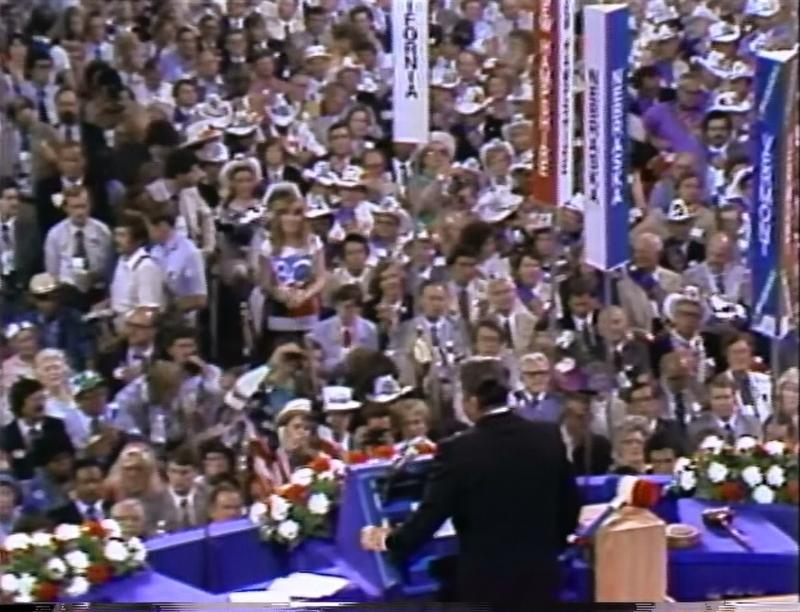 See for yourself in this stroll down Political Memory Lane. 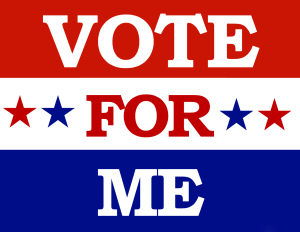 1840: Tippecanoe and Tyler Too Historians call this the first campaign slogan. William Henry Harrison’s claim to fame was defeating Shawnee Chief Tecumseh in the 1811 Battle of Tippecanoe in Indiana. 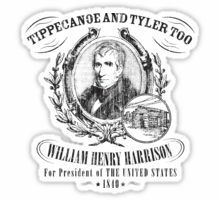 His supporters took to calling him “Old Tippecanoe.” Harrison won the election and immediately set a record no president wants to break: he died 30 days after taking office. 1852 “We Polked you in ’44, We shall Pierce you in ’52” After having lost in 1848, Democrats found a clever way to connect the largely unknown Franklin Pierce to their last victorious candidate. A little long by today’ standards, but it worked. 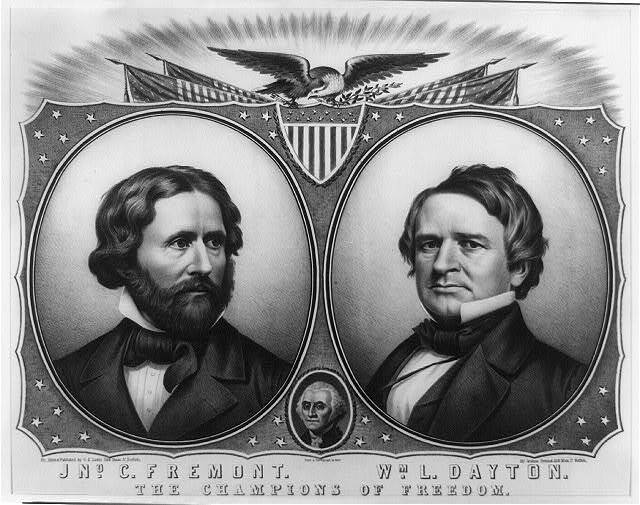 1856 “Free Soil, Free Labor, Free Speech, Free Men, Fremont” This was the first presidential run for the brand new Republican Party. GOP strategists came up with this slogan to associate the party’s anti-slavery views with its standard bearer, John C. Fremont. He didn’t make it to 1600 Pennsylvania Avenue, but his infant party did in the next election. 1888 “Grandfather’s hat fits Ben” This one definitely wouldn’t inspire 21st Century voters. Some Republican pol devised it to remind Americans that Harrison’s grandfather was William Henry (of earlier “Tippecanoe and Tyler Too” fame). In a result we can relate to today, Harrison defeated Cleveland in the Electoral College but lost the popular vote. See how history repeats itself? 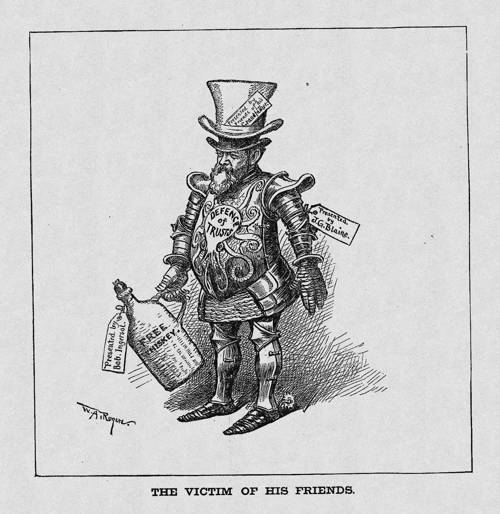 1896 “Peace, Protection, and Prosperity” When all else fails, alliteration always works. 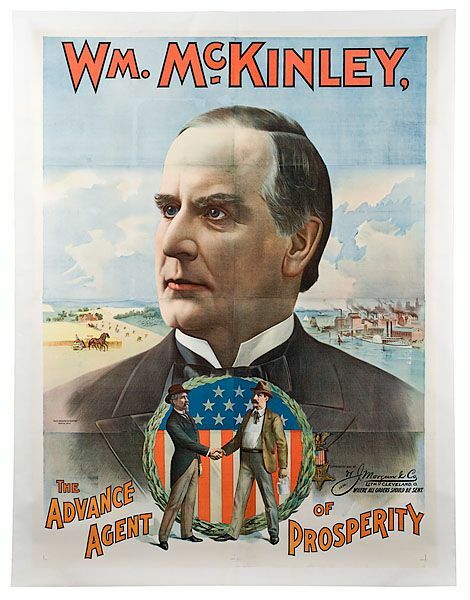 Republicans relied on the Three P’s to communicate William McKinley’s platform to voters. And it put the GOP back in the White House, where it would remain 28 of the next 36 years. Did you find this enjoyable? Please continue to join me each week, and I invite you to read Tell it Like Tupper and share your review! Curious about Tell It Like Tupper? Here’s a chance to see for yourself. Take a sneak peek at a couple chapters in this free downloadable excerpt. This entry was posted in American history and tagged political campaigns, presidential politics, slogans on February 3, 2019 by admin.